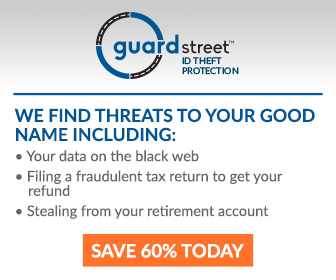 Get peace of mind with ID Theft Protection from Guard Street. Packages are carefully designed to provide customers with identity theft protection monitoring, alerts, insurance and restoration. It also includes proactive protection tools to protect data and privacy while at home or traveling. $3.95 for the first 30 days, then $9.95/month thereafter.